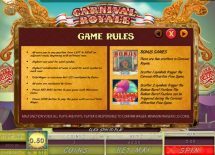 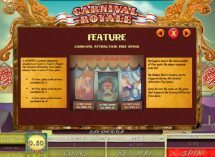 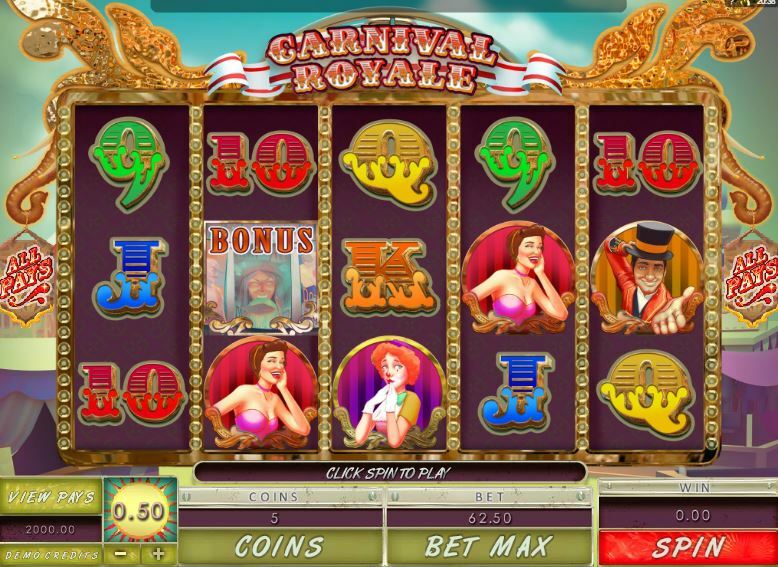 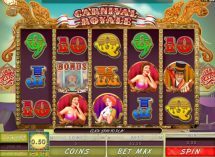 Carnival Royale slot is one of the oldest Microgaming 243-way games and as usual we have 5 reels and 3 rows with the theme one of jollity you would expect! 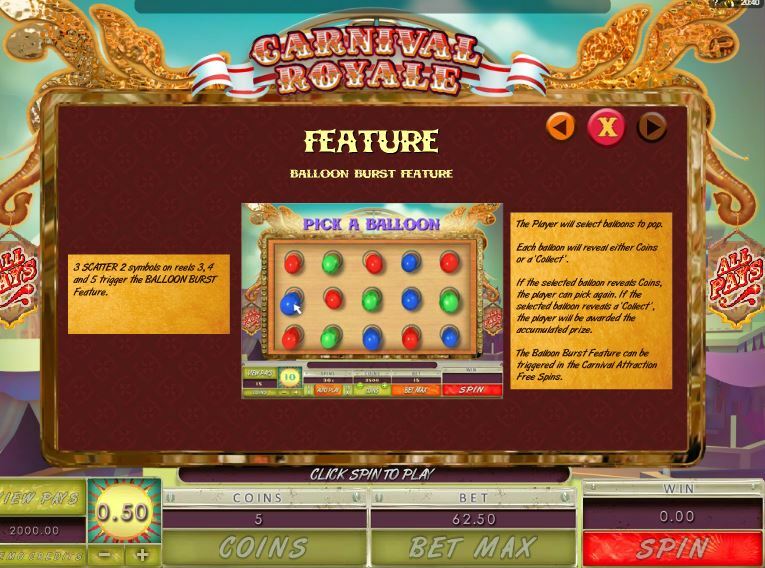 You can get a balloon-burst bonus via the 3 bonus symbols landing on reels 3, 4 and 5 for cash amounts or a choice of free spins with scatters 1, 2 and 3. 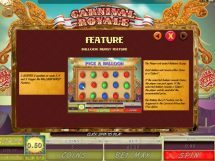 You choose 15 spins with a 3x multiplier, 10 with a 5x and if you’re feeling lucky 5 with a 10x multiplier! 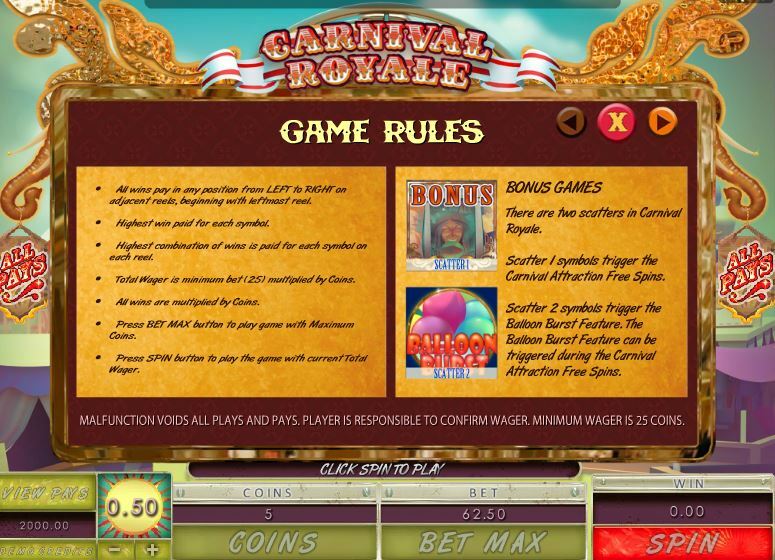 There are single 1x Wilds on all reels in the base game and feature. 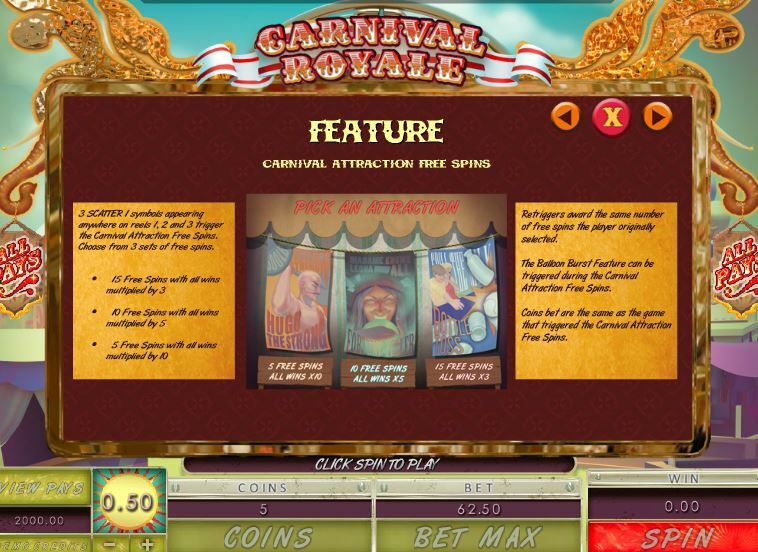 RTP is 95.50%.